The city of Ellensburg is the county seat and largest in Kittitas County, Washington. It is near the center of the state but due to its location east of the Cascade Mountain range it has a completely different climate than western Washington; it only receives about 9 inches of rain compared to 35-40 inches in the Seattle-Puget Sound region. Ellensburg sits along the Yakima River, just north of the town of Yakima and just west of the Columbia River. Its population is over 18,100 and, in spite of its size, is one of the only communities in this rural area. 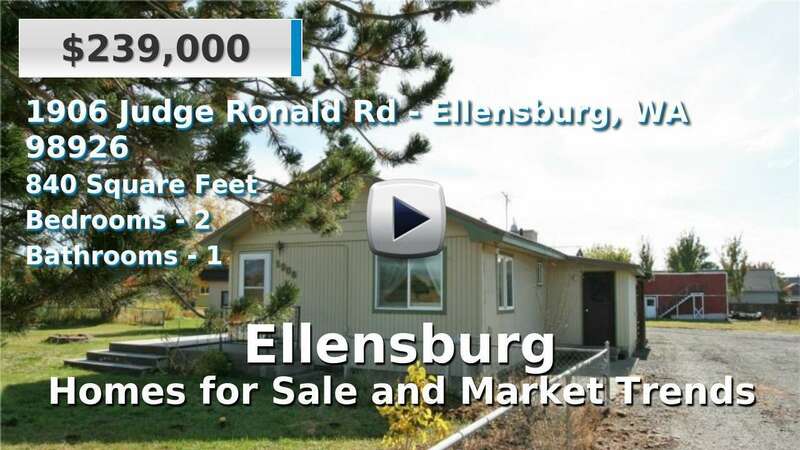 Living in Ellensburg gives residents the convenience of a large city but the feel of a much smaller town; homes for sale here are generally well-established on acreage and commutes are short, just 15 minutes. Nearby is the Yakima Training Area, a remote facility of Joint Base Lewis-McChord. The city is also known for its annual festivities such as the Ellensburg Rodeo, named one of the country’s top 10 professional rodeos, and the Winterhop Brewfest, which brings together some of the Pacific Northwest’s finest microbreweries. 3 Beds | 2.25 Baths | 1643 sq. Ft.
3 Beds | 1 Baths | 1366 sq. Ft.
3 Beds | 2.5 Baths | 2181 sq. Ft.
3 Beds | 2 Baths | 1346 sq. Ft.
3 Beds | 2 Baths | 2268 sq. Ft.
3 Beds | 1 Baths | 1450 sq. Ft.
4 Beds | 2.5 Baths | 3482 sq. Ft.
3 Beds | 2.25 Baths | 2119 sq. Ft.
4 Beds | 2.5 Baths | 2494 sq. Ft.
3 Beds | 2.5 Baths | 2272 sq. Ft.
3 Beds | 1.75 Baths | 3538 sq. Ft.
3 Beds | 2 Baths | 2251 sq. Ft.
3 Beds | 2.5 Baths | 1832 sq. Ft.
3 Beds | 2 Baths | 1711 sq. Ft.
3 Beds | 2 Baths | 2880 sq. Ft.